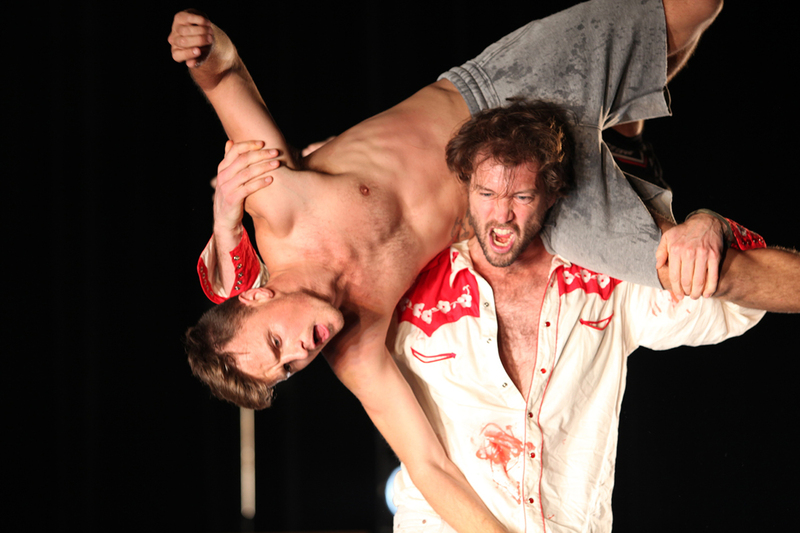 Ochre Contemporary Dance Company is presenting a new production in Perth of Mark Howett’s Good Little Soldier, which premiered at Radialsystem V Berlin in 2013 to appreciative reviews. After working in Berlin for 12 years, Howett, a Nyoongar man, returned to Perth to be appointed Ochre’s Artistic Director. His international career in lighting design, including the Adelaide Festival-Sydney Theatre Company production of The Secret River and Katya Kabanova for Seattle Opera, has expanded into video design and directing. 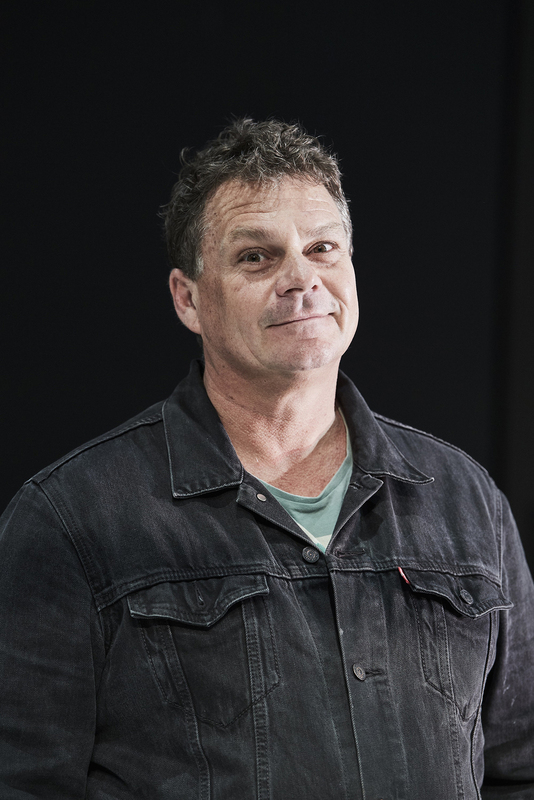 Howett was also a founding member of renowned performance ensemble The Farm, with Gavin Webber and Grayson Millwood who collaborated on the Berlin and Perth productions of Good Little Soldier. For this his second production with Ochres (the first was Kaya in 2016), Howett is revisiting a very personal subject, Post Traumatic Stress Disorder (PTSD), which was suffered by his soldier father. Howett’s focus on the condition extends to its impact on partners and families and into the broader community. I spoke with him by phone. What from your knowledge and experience — I understand you’ve had an instance of PTSD in your family — are the interior and exterior manifestations of the condition? There’s the struggle of the sufferer. They don’t really want to give it out, to live it out and it manifests itself in physical symptoms, like sweating and palpitations. And hysteria is a way of dealing with trauma. We got really interested in the symptoms — like the tendency to shake or to see things as incredibly funny as a way to deal with it. Or they’ll get really remorseful and go completely internal, where they almost roll up into the foetal position. Did you witness this yourself as a child? I did, and at the beginning of making Good Little Soldier it was the way we got into some of the improvisations that became scenes and it was pretty cathartic for me to witness them. There were times when I found it difficult to watch. Then we started finding how some of those situations I went through were common to other families. Once we’d done consultations with organisations — like Partners of Veterans — and showings, families could come and have a say and then we fed that back into the piece. So whereas it started out with my experience, what my father’s behaviour was like, it went much more into dealing with the victims from the community’s point of view. What was your approach to the material? When I made this work in Berlin and it was after 12 years of living there, working as a designer and learning the German approach and their dramaturgy, I tried to get a lot of that into the way we made the work as well — a certain analytical viewpoint. I’d gone straight for the emotional in pieces I’ve made but the Germans take that away — they see it as embellishment. And they try to get to the heart of it. For example, they’ll use text in a devised work but they like to use text that the audience might know, say, a famous piece of writing about the war. When you hear those words you understand them, then you can go a step further with it in your thinking. How do you translate the experience of PTSD, whether directly experienced by the subject or observed by family, into a stage language? There must be a leap when you’re no longer working literally? You’re pushing from a naturalistic scene into a heightened reality? Yes. You get the context of what it might be like to suffer the repeating of the incident, over and over in the head. When sufferers experience it, they think they’re back there and it’s real — completely real. The trigger can be sound, it can be smell, it can be any of the senses that immediately puts them back there, even if it’s only seconds and then in the context of having to try to live a normal life when they return to be with the family. What would that be like in the middle of a normal day to suddenly be back in one of the most horrific incidents that you were involved in in the war? The family are sort of like good soldiers, ready to carry on and support him or her when they come home. They suffer it as well, because of the stress of that heightened awareness that happens within the home. You’re trying to be one step ahead of the sufferer so that they don’t experience a trigger or that you don’t cause it. Is the trauma psychologically shared by partners and family? I think it hits families multi-generationally. I think the suicide rate for children of veterans is higher than for veterans themselves. You’re a Nyoongar man, you have a fellow Indigenous performer in the production and Ochre is an Indigenous and cross-cultural company. Indigenous soldiers would have suffered PTSD. The actor Kelton Pell and I were talking about it and he said to me, “Come on, brother, all of us are suffering PTSD; it hasn’t stopped!” And that’s right. The repercussions for each generation are cumulative and really affect a whole community, let alone an individual family. That’s one of the big things we’re trying to say, that people suffering these big things unless we give them all the support we can, [trauma] can spread through the community as well. The repercussions of it, the dysfunctionality and the anguish as well for families. [Nyoongar actor, director and dancer] Ian Wilkes who is playing the ghost of a soldier is really fantastic. A really remarkable performance. Is this ghost a friend of the central figure? Yes, and the incident is really a moral dilemma as well. Modern soldiers often have to go into domestic situations and deal with the public. There’s an even a greater dilemma for the soldier about killing. I was reading an amazing book that says only 10% of soldiers actually aim to kill. The rest aim to miss. It’s not within us to kill other people. What’s the nature of the stage and sound design of Good Little Soldier? The design by Bryan Woltjen is of a really isolated place that could be in the country or the city, pretty run-down, pretty dysfunctional — a bit like the family. And in the Subiaco Arts Centre theatre, we have a full 360-degree soundscape. The sound design becomes really important because noises are a very quick way of getting inside the mind of the sufferer. There’s a 21-gun salute, but it’s me doing a 21-gun salute for the innocents in the conflict. I also use video a lot in my work. I just came back from working with the Seattle Opera and filmed the countryside up there and I’m using it to help [convey traumatic] incidents as well. And what do you hope your production will do for soldiers with PTSD and their families? Well, obviously, beginning a conversation, building awareness that families can’t wear so much of the social cost and we have to help them in preventative ways. To the best of our ability, we must give them as much support as we can, as early as we can, so that the illness doesn’t become so prevalent and there’s a better chance of ensuring that they’re healthier people. It is about health really. Is there anything you’d like to add about the production? There is. The relationship with The Farm: Gavin Webber and Grayson Millwood. We’ve been long-term collaborators and I feel blessed to have worked with them and they’ve really encouraged me to develop myself as well. Part of the reason I’ve started directing is that when we were making work together in Europe, often I was the only person out front and I ended up having to do the notes on the performance. It eventually got to the stage where they’d say, “Mark, that’s enough. You’ve started directing, alright!” So, they encouraged me to go from being a lighting designer to be brave enough to conceive and develop my own work. The relationship I’ve had with them on the shows we’ve made like LAWN, Roadkill and Food Chain has been fantastic, supportive, awesome, funny, and I’m so lucky they’re part of the development of this new work. And in the same way, it’s happening in my work as a designer for Raewyn Hill, the Artistic Director of Perth’s Co3 dance company. It feels really healthy to interact with people that you’ve got history with in developing work. You know how they behave and you know their level of commitment. That they give it to you so generously is awesome.